and make every single day unique. Do not miss a boat trip opportunity. 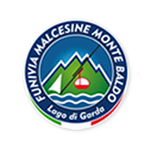 Thanks to the navigation service all the villages of the Lake Garda can be visited (Sirmione, Limone, Salò, Peschiera, Garda, Bardolino, to name a few). It is also possible to buy tickets for the whole day which include more than one stop or the full tour. For a unique experience on the lake we recommend the tour aboard the “Siora Veronica”, an historical sailing two trees ship, recently restored for fascinating excursions and atmosphere or to celebrate a special event. At the harbour you can rent boats privately. 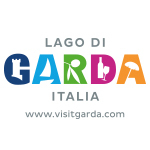 Once at least, take a bath in the cool and invigorating waters of Lake Garda. The presence of rocks on the bottom makes the water clear and it is good to be equipped with shoes for pebbles. All beaches, accessible free of charge, are made of stone, pebbles or gravel sometimes interspersed with green grass and shaded areas. At the beginning of the north lakefront promenade, 200 meters from the Hotel is “Paina Beach”, with a diving platform and a restaurant-pizzeria with rental chairs and sunumbrellas. From here the view of the castle is fantastic. The north coast stretches up to Navene for about 5 km between natural beaches such as the beach “Retelino” and “Campagnola”, where you can eat at nearby bars and grocery stores, and the solitary coves where it is recommend bringing water supplies. Several small bays are ideal for windsurfing, kite surfing and all water sports. To the south of the town the lake front promenade leads to the “Bay Val di Sogno” about 2 km from the center of Malcesine; here there is a wide beach where you can hire sunbeds, chairs and sunumbrellas. A few meters from the bay lies the island Isola degli Olivi. Further south the island of Trimelone, declared a natural protected area for birds which fly there to nest. 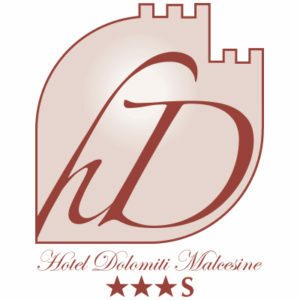 By combining mountain, lake and its geographical location, Malcesine covers a large part of the needs of the sporty tourists. Sailing, wind-surfing, kite-surfing, sup, canoeing, swimming, diving, fishing, canyoning. Paragliding for flying enthusiasts. There are few places in the world where it is possible to do so many activities in one place. 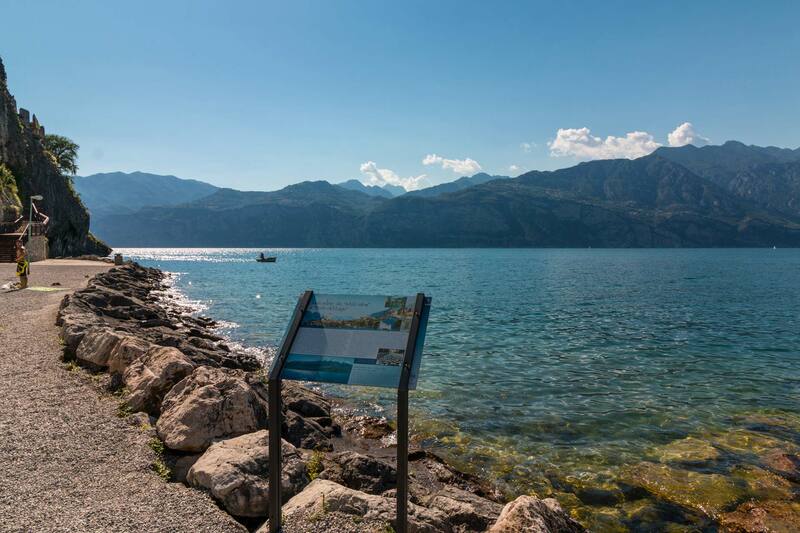 The cycle-pedestrian walk on the north lakefront promenade of the town begins at the foot of the castle and runs for about 5 km along the beaches and pebbles coves, passing by Fraglia Vela Yacht Club of Malcesine to Navene. In the south side of Malcesine the waterfront path begins at the end of Via Roma and continues for about 10 km until you will be arriving at the village of Brenzone. For cycle-walkers and joggers it is a path far from boring, where small marinas and roads of the country alternate. Sometimes the pedestrian and cycle path is interrupted only briefly to go back to the main road Gardesana and then it returns close to the beach on the lake.